A film project about the romance between Svetlana Alliluyeva and Brajesh Singh was presented at the Cannes Film Festival by Russian producers, and attracted the interest of both Russian and Indian investors. 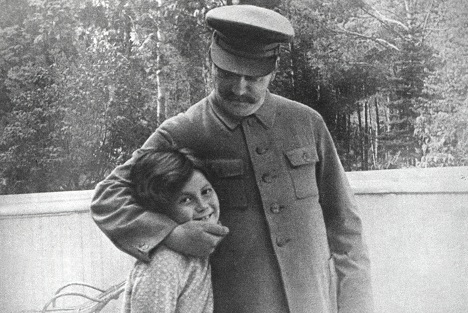 One could shoot more than one film or even produce a television serial using the biography of Svetlana Alliluyeva, Josef Stalin’s only daughter – her life was so saturated with adventures and escapades. She changed husbands like pairs of gloves. In 1966, at the age of 40, she escaped to the U.S. via Delhi and Italy. In America, she published her memoir, ‘Twenty Letters to a Friend,’ and became a millionaire. Brajesh Singh was the son of a rich raja, but, having become a communist, severed himself from his royal roots and immigrated to the Soviet Union where he worked as a translator in a publishing house. “We met in Moscow in October 1963, one day coincidentally finding ourselves in the same hospital,” wrote Svetlana Alliluyeva in her memoir Only One Year. He had an excellent education, having lived in Europe before coming to the USSR. Such a mentally free intellectual was a rarity in the totalitarian Soviet Union. The local intelligentsia was much more stifled at that time. The couple decided to live together. But the registration of the marriage was refused, since she was Stalin’s daughter. Their romance was short-lived – they went on holiday to Sochi and then Brajesh had to return to India. Under various pretexts, he was not permitted to return to the Soviet Union. After a year and a half, he somehow managed to get back. Svetlana and Brajesh lived together for a little more than a year. He very much wanted to die in his homeland, but the Soviet leadership refused to let Svetlana go with him fearing provocations by Western intelligence services. But when he died in Moscow, they let her accompany his body. Most likely, this came about thanks to the then prime minister, Alexei Kosygin, who was Svetlana’s neighbour at her House on the Embankment. Alliluyeva flew to Delhi where she asked for political asylum but was refused – India did not want to spoil its relationship with the USSR. Then she went to the American embassy and asked for political asylum in the country. How they got her to America through Italy while dodging KGB agents is a story for another film, a spy film with disguises and safe houses.